The location was perfect...enough solitude needed to get away and the dogs loved the rocky beach. The cabin set up is also wonderful to give each person a bit of time alone instead of all being close together. We kept discovering items and ammenities that each day in the cabin. We loved the view from the deck and the ability to connect with the wildlife...namely chipmunks, squirrels, hummingbirds and seagulls. The cabin was very clean and organized and we do hope that we left it as such upon our departure. Beautiful cabin, gorgeous secluded location, we went swimming and canoeing, took a sauna, we'll definitely be back! We have stayed at The Phoenix on two summers now and we thoroughly enjoy this fantastic home. 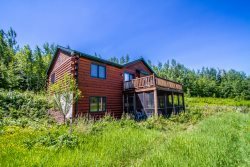 We enjoy the location in Tofte, the cleanliness of the home and the home is very well equipped for my family. We most enjoy renting the home versus renting from a resort as it provides more privacy, more quiet and a more relaxed atmosphere. Our only recommendation would be to include a gas grill as we bring a portable grill for a majority of our cooking meals. We prefer propane gas grill rather than charcoal. Our entire experience staying at Aspenwood was wonderful. The condo was new and spotless, the beds were comfortable with quality linens and the view of Lake Superior from each level was awesome. The property was beautiful, with raspberries, lupine and other wildflowers growing along the path at the lake front. We would definately recommend Aspenwood and using Cascade rentals to our friends and family. We'd like to thank housekeeper Richard who was especially friendly and took the time to answer our questions. We loved the home and the location as well as the amenities. This is our second stay at Case Del Norte and we have found that we love the convenience and the house suites our needs very nicely. It has all that we require. We usually have a family gathering in Grand Marais and we can walk almost everywhere to meet up with our group. Loved it. It was our second year at this cabin and it was wonderful.